﻿ Fab Fantasy Fiction: Wicked Wednesday: Salutes Authors & Publishers that are Wickedly Good and help your purchase do more! And the ice bucket challenge video that reduces me to tears by illustrating why everyone is wet & cold. So, today on Wicked Wednesday, I'm going to give a shout out to some of these fabulous authors, publishers, and eRetailers who make it easy to support some worthy causes. Feel free to add others in the comments and let's all try to support them by getting our one-click on. Summer Escape, a 12-book bundle from Tule Publishing, supports the family of Heather Ferhuson, a single mom from Bozeman, MT, who died tragically this spring in a car accident. From the publisher: "This August only box set is in memory of Heather Ferguson, a Montana mom, educator and reader. Every dollar from the Summer Escape will go into a college fund for Heather's children." Kudos to the twelve authors - Jane Porter, Sarah Mayberry, Megan Crane, Katherine Garbera, Joanne Walsh, Anne McAllister, Nancy Robards Thompson, Debra Salonen, Kim Boykin, Kaira Rouda, Carol Marinelli, Ally Blake - and to Tule Publishing for the generosity! To purchase, go to Amazon or the eRetailer of your choice. 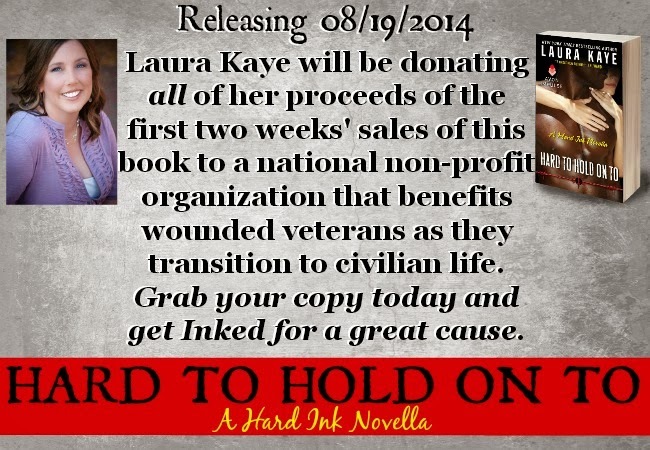 Author Laura Kaye will be donating the proceeds of the first two weeks of sales of her new title, Hard to Hold On To: A Hard Ink Novella, to an non-profit organization that helps returning veterans - The Wounded Warrior Project. Not only will you be helping support a worthy cause, but you'll be getting a fabulous read too. For more about Laura's donation, go to her website. If you love stories that grab you, gut you, and make you believe - this is a book for you! (See my review.) 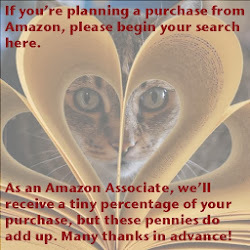 To get your one-click on, go to Amazon (or the eRetailer of your choice). HarperCollins is offering a Humble Bookperk Bundle where you can choose how much to pay for ten books - and that payment will go to the charities you designate from the choices they provide. The novels include: The Curse of Chalion (Lois McMaster Bujold), American Gods (Neil Gaiman), Busting Vegas (Ben Mezrich), Twinmaker (Sean Williams), Map of Bones with an excerpt from The Sixth Extinction (James Rollins), Angel's Ink (Jocelyn Drake), The Wasteland Saga (Nick Cole), By the Blood of Heroes (Joseph Nasisse), The Witch of Portobello (Paulo Coelho) as well as Dead Witch Walking, the first book in Kim Harrison's The Hollows series, along with Trouble on Reserve, an unpublished "Hollows" short available exclusively from Humble Bundle. To access all the books, you'll need to spend a bit more money, but you're able to choose how much to spend and how many titles you want (normally these books would sell for more than $100). You'll choose how your money is divided - to the authors, selected charities (First Book, Science Fiction & Fantasy Writers of America Emergency Medical Fund, and the Comic Book Legal Defense Fund), or split between them. Kudos HarperCollins for an innovative way for booklovers to get books they love and help out others. Go to, https://www.humblebundle.com/books. Kristan Higgins is one of my favorite authors. Why? Well, she's a fabulous writer, but she's also an incredibly generous human being. Not only is she passing it forward, by featuring newer authors on her blog, but she also regularly donates a portion of preorders and sales to non-profits. From her Facebook page: "As has been true for my last three books, a portion of pre-orders and first week sales of IN YOUR DREAMS will benefit Fisher House Foundation, which gives military families a place to stay while a loved one is hospitalized." In your dreams will be published on October 1, but you can preorder it now. Yes, you'll get to read another wonderful Blue Heron title and help out military families. KUDOS, Kristan! Go to Amazon (or the eRetailer of your choice), to purchase your copy today! If you're a romance lover, you'll definitely want to scoop up LOVE IS ..., an amazing collection of 40 multi-genre short stories - at all heat levels. When you do, you'll be supporting Reach Out and Read, an evidence-based nonprofit organization of medical providers who promote early literacy and school readiness in pediatric exam rooms nationwide by giving new books to children and advice to parents about the importance of reading aloud. So, grab this great collection now that includes stories by: S.M. Butler, Kate Pearce, Marie Hall, Zoe York, Kat Cantrell, Sidney Bristol, Cassandra Curtis, Keri Ford, Sadie Haller, Crystal Jordan, Jennifer Lewis, Molly McLain, Mima, Natasha Moore, A. Catherine Noon & Rachel Wilder, Elle Rush, Jessica Stone, Holley Trent, A.J. Vale, Elle Wylder, Clarice Wynter, Sabrina Darby, Bonnie Dee, Jennifer Haymore, Vivienne Westlake, Elianne Adams, Melisse Aires, Mahlee Ashwynne, Sophie Avett, Jennifer Blackstream, Sela Carsen, Cate Dean, Grace Draven, Hailey Edwards, Dayna Hart, Elise Logan, Lyra Marlowe, Tina Moss & Yelena Casale, Cate Rowan, and Faye Hunter. Thanks to all of you for your generosity in sharing the joy of reading with the next generation! Go to Amazon (or the eRetailer of your choice), to purchase your copy today! 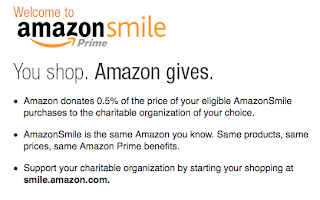 If you don't know about AmazonSmile, you're missing out on sharing a small percentage of your Amazon purchases with the charity of your choice. 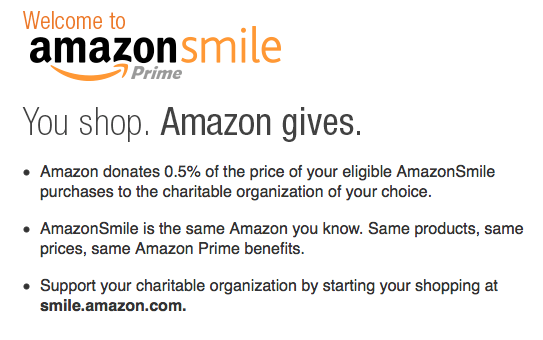 Yes, Amazon will give your charity 0.5% of your purchases. Interested? Go to, smile.amazon.com. If your library has Overdrive, they most probably are in the WIN program, where a portion of your purchase of digital content or other items from WIN Affiliated Retailers, is credited back to your library. Check out your individual library's Overdrive collection or ask your library. 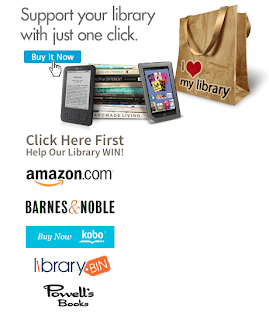 You'll need to use the “Buy it Now” link from your library’s website to make your purchase count.